With the beginning of Summer we also have the beginning of Row by Row Sew Musical. 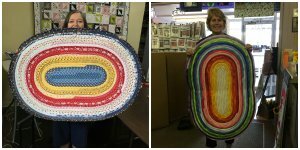 Continueing thru September 4, 2018 Row by Row is sharing harmonious tunes at many quilt shops across the United States and worldwide. Free pattern are available. Kits are ready as well at $7.99. The Quilted Sunflower will close at 5pm on Thursday August 9th. We are sorry for any inconvience this may cause. We have some amazing panels for all occasions, for all seasons and just for fun. 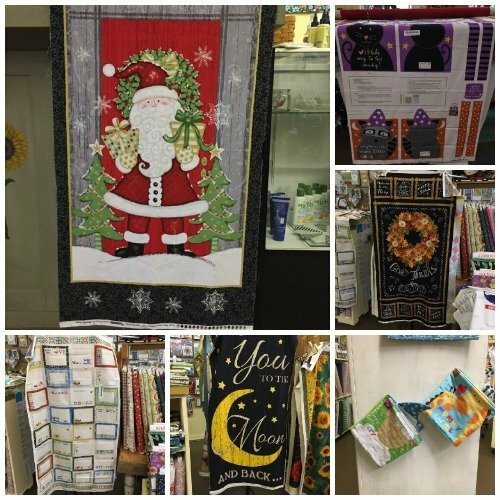 Below are just a small sampling of our panels here at The Quilted Sunflower. All panels are 20% off this month. We have a beautiful selection of Christmas Fabrics from Moda, Stof, Hoffman, Adornit just to name a few. Many different and fun colorways.Come by and check it out today. 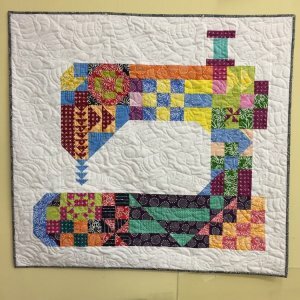 Come join the fun and make this great wall hanging for your sewing room. 37"x 40" is the size. Jelly roll friendly for most of the quilt. Learn new ways to make a flying goose (hee hee) and some new rulers will be demoed. Class fee is $15, supplies purchased from the shop receive a 20% discount. Got a spare Jelly Roll hanging around or cut your own and make a rug. You will need 42 2.5" x WOF strips and 2 rolls of 2..5" cotton batting or cut your own strips of batting. You need 50 yards. Pattern is required. Class fee is $15. 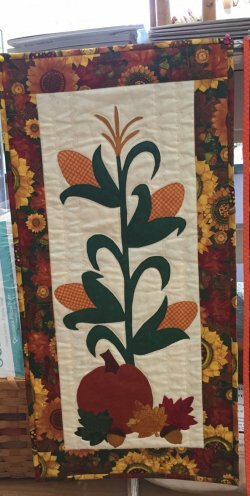 Join the fun and make this cut 14 "x 24" seasonal wall hanging. Book required. Kits are available (kits for previous skinnies are also available.) Class Fee $5. 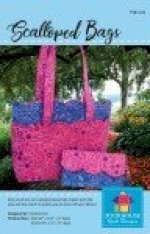 This month we will make the Scalloped Bag and Clutch. Join the Bag Club today. Class fee is $5. Make a beautiful greeting cards for $15. Cash or Check to Debbie.